Emerson Electric Motor SA55NXGTB-4142 ¼ HP 1725 RPM Vacuum Pump w/ Gauges . New Life Scientific, Inc. 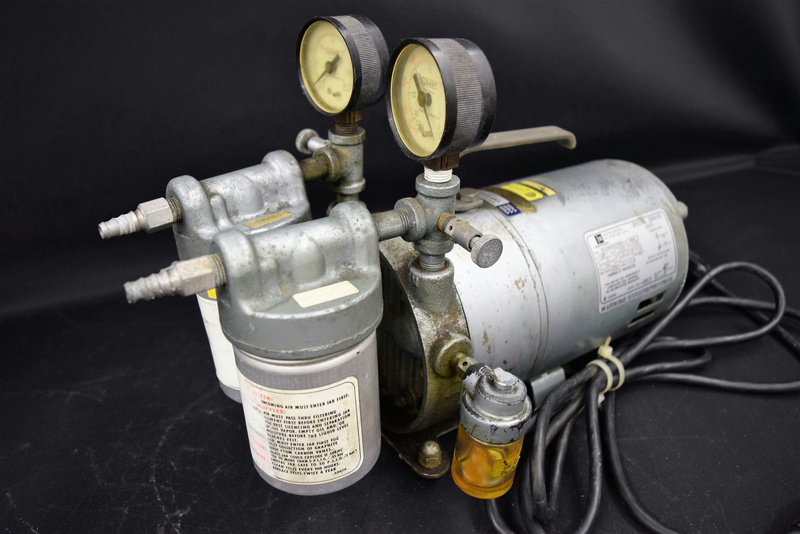 This is a used Rotary Vane Compressor Vacuum Pump with a Emerson ¼ HP Electric Motor. It is thermally protected and the time rating is continuous. New Life Scientific technicians tested this pump to pull to 26.5" Hg, appearing to function as intended. This product has obvious signs of cosmetic wear and age. Some cosmetic wear and age, in good working condition.